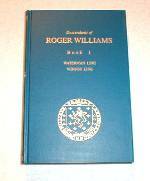 The Roger Williams Family Association is pleased to announce its recent association with Amazon.com through which many of the following items are made available. Please be assured of 100% satisfaction and security when ordering through Amazon.com. Availability: This title usually ships within 4-6 weeks. Please note that titles occasionally go out of print or publishers run out of stock. Amazon.com will notify you within 2-3 weeks if they have trouble obtaining this title. CLICK HERE to purchase/download online. CLICK HERE to read a review published by The Providence Journal-Bulletin. Availability: Usually ships within 24 hours. Now available from a new publisher. Availability: This title is out of print. Although it is no longer available from the publisher, Amazon.com will query its network of used bookstores for you and send an update within one to two weeks. Availability: This title usually ships within 4-6 weeks. Please note that titles occasionally go out of print or publishers run out of stock. Amazon.com will notify you within 2-3 weeks if we have trouble obtaining this title. Review: Roger Williams, founder of the colony of Rhode Island, is famous as an apostle of religious tolerance and a foe of religious establishments. In Separating Church and State, Timothy Hall combines impressive historical and legal scholarship to explore Williams's theory of religious liberty and relate it to current debate. Williams's fierce religious dogmatism, Hall argues, is precisely what led to his religious tolerance, making him one of the most articulate champions in history of the argument for the necessary separation of church and state. Synopsis: When twelve-year-old Phillip and his sister move with their parents from Plymouth to Boston in 1634, they encounter mysterious Indians and survive narrow escapes. Synopsis: In 1635, Roger Williams is on trial in the Massachusetts Bay Colony for preaching what was then considered radical ideas about freedom and equality. When Roger is found guilty, he must escape and travel into the wilderness, where his only hope will be to find his friends the Narragansett Indians. Avi's account of how Williams founded Providence, Rhode Island, is vividly brought to life. Full color. 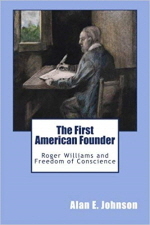 Synopsis: Here is a biography of America's pioneer of separation of church and state, Roger Williams, written for young readers. It tells the story of Williams arrival in the New World in 1631, his expulsion from Massachusetts Bay, and his founding of Rhode Island.